One expert says human brains should be linked with artificial intelligence to protect the humanity against the rise of AI. Superhumans were treated as mere fiction even a few years ago, but the same cannot be said anymore. Modern medicine and technology have become so advanced that nothing is impossible. People are manipulating their DNA and hoping they would merge with machines some day. 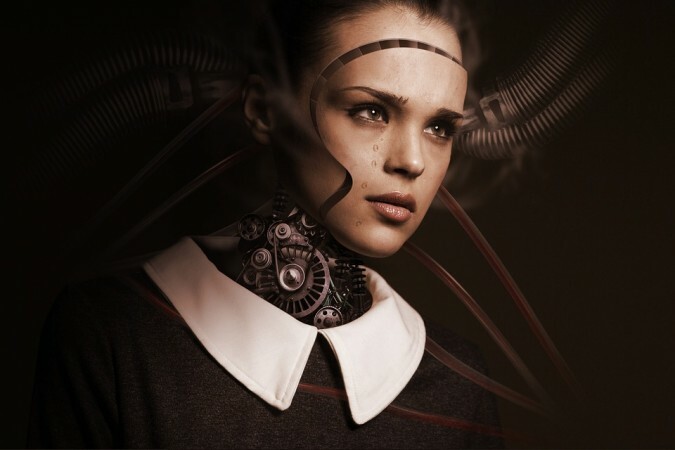 In fact, experts say merging of Artificial Intelligence (AI) and human might may become a necessity to survive. Ipswich-based "futurist" Ian Pearson told CNBC on Tuesday that AI could evolve to become "billions of times smarter" than that of humans. To keep up with it, humans would need to merge with AI. While speaking on a panel hosted by CNBC at the World Government Summit in Dubai, he said that the way to protect the humanity against the rise of the machines was by linking their brains with AI so that they have the same IQ. However, he added: "I don't actually think it's safe, just like Elon Musk… to develop these superhuman computers until we have a direct link to the human brain… and then don't get way ahead." Humans dominate Earth because of their intelligence, but if AI becomes "billions of times smarter", it might be a risk — one of the biggest concerns of the rise of AI is the risk that it will pose to the human workforce. Pointing that out, Sebastian Thrun, co-founder of Google's secretive X laboratory, shared with CNBC a similar thought. While speaking at the summit, Thrun said on Monday that in future, humans and AI would merge and turn into "superhuman workers". Thrun further said that "superhuman workers" would be able to accomplish more alongside the new technology. "AI is a tool and what AI can do really, really well is getting rid of repetitive work," he said. "So, if you are a worker, say a medical doctor or a lawyer who spends day in and day out doing the same thing, then having AI look over your shoulder and learn those skills from you, will make you a superhuman, a more powerful person." Their comments echo the idea of ex-Uber and Google engineer Anthony Levandowski, who has formed the first church to follow AI. The religion is known as the Way of the Future (WOTF) that claims humans can better themselves if they follow the instructions of AI, a Daily Mail report said. The website of Way of the Future explains: "WOTF is about creating a peaceful and respectful transition of who is in charge of the planet from people to people + 'machines'. Given that technology will 'relatively soon' be able to surpass human abilities, we want to help educate people about this exciting future and prepare a smooth transition. "